Head bruised and aching; we went into this week a little gentler. We were long overdue on our favour repayments with Stuart & Hayley; so when on Monday they needed us to look after Toby for a few hours, we jumped at the chance to have a legitimate excuse not to have to go to the building site!! The floors were this weeks mission. The kitchen for Seb as Stuart got this far before hating life and us! The shop we left for the professionals (Yes. We gave in and hired someone. It was too much!). We also had plasterers to start in the bathroom and help that take shape. Obviously because of the window situation, we couldn’t finish it off but we could get 3 out of four walls done and anything is progress at the stage! The kitchen floor was a team effort, with Seb sanding while I was hoovering and clearing up the dust behind him. We didn’t want them to be too perfect and wanted to keep some of their original rustic charm. So after a rough sand (which still took ages by the way), we gave the floor a mop and agreed it was “good enough”. Once we’d cleaned them down and varnished them – they did look really beautiful and we were really happy with our efforts…whilst also toasting our decision to get someone in to do the shop floor. Never again. The flooring guys we got in were also incredible (The Wood Flooring Specialists) ! Not only did they work on a Saturday to ensure it would all be dry before our other tradesmen came in on Monday, they also did an absolutely beautiful job. We couldn’t anticipate how the floor would come up and it was beyond expectation. 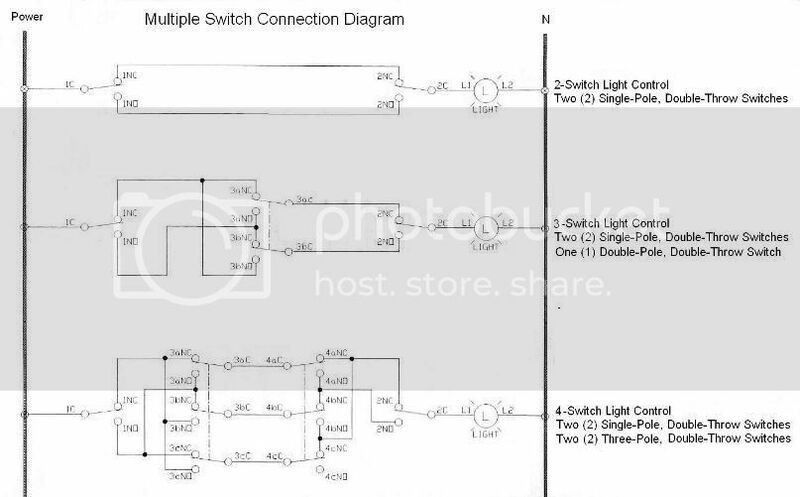 If a need exists to control one light (or group of lights) with multiple switches, this circuit may be useful to your electrician.